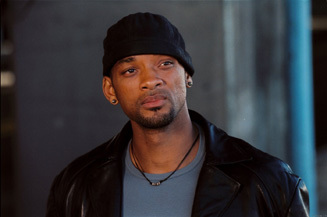 23/159 David Mumpower Will Smith offers his best performance to date in this fascinating tale of a struggling father's conviction to succeed and provide for his child. 31/47 Amanda Jones I was just so bored. I wanted so much for it to be over. There were no moments; no magic. Will Smith will star in this rags-to-riches tale that is based on the true story of investment banker Chris Gardner. After Gardner's story aired on 20/20 in January 2005, it became a hotly pursued property by a number of studios. Columbia Pictures ended up with the rights and set Steve Conrad (The Weather Man) to write the screenplay. The story is certainly inspirational. After a series of unfortunate circumstances left Gardner homeless and unemployed at the age of 30, he and his infant son wound up living out of a bathroom in a San Francisco train station. Even though the situation was difficult, Gardner never gave up on his goal of becoming a broker, and eventually was able to land a job as a trainee and then rose through the ranks at companies like Dean Witter and Bear Stearns. He was so successful that he eventually came to be the owner of his own brokerage company - Gardner Rich & Co. - and the very definition of a self-made millionaire. See the latest developments for this project on the The Pursuit of Happyness Movie News page.